Delivery & Set-up: Select for Options White Glove "Free"
Utilizing only the highest quality materials matched with incredible design, this Chat Set is in a class of its own. 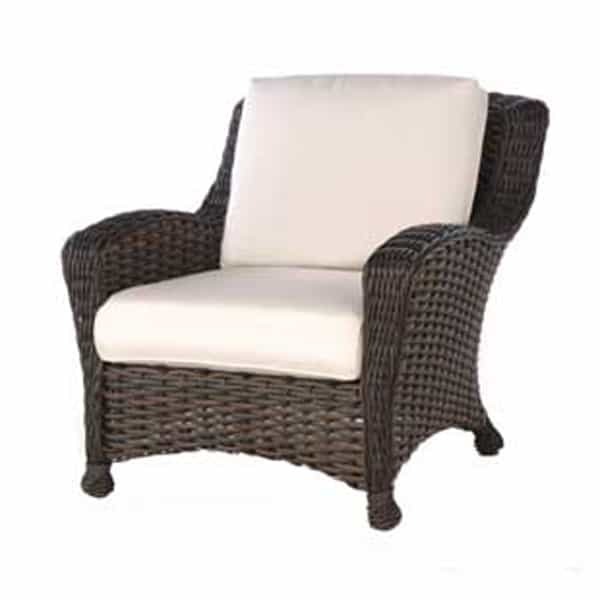 The look of this luxurious seating looks completely natural; the reality is this gorgeous wicker weave is synthetic all-weather wicker modeled after natural rattan. This means you get all of the beauty and none of the worries. 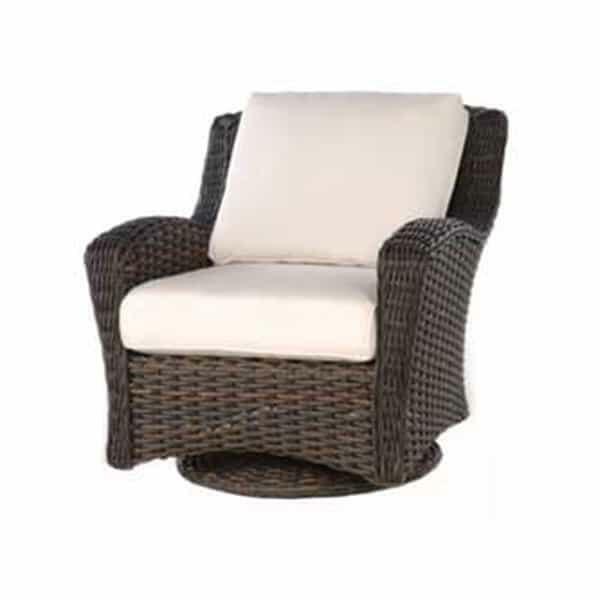 Top off these gorgeous swivel chairs with Ebel’s custom cushions and the set will become your favorite place to enjoy an evening of wine and conversation with family or friends. 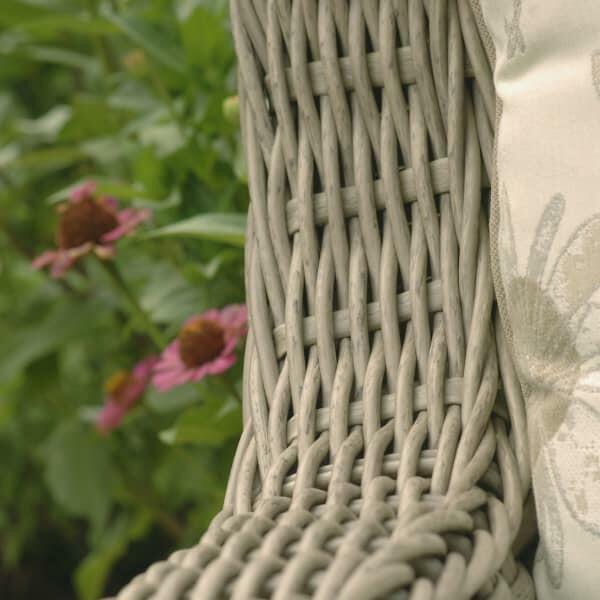 The extra-thick, perfectly tailored cushions offer a plush sit, and are made to use indoors or out. It is part of a large collection of dining and deep seating furniture, including a sofa, swivel dining chairs, occasional tables and a fabulous daybed. Available in both Chestnut and Driftwood finishes. SEAT HEIGHT 19" ARM HEIGHT 24"
SEAT HEIGHT 19" ARM HEIGHT 24.5"